This Door Sign Holds a 3" x 11" Graphic. Each Unit Features a Curved Design. 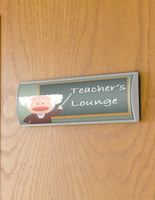 Many Door Sign Sizes Available to Choose From. 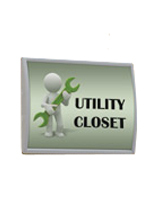 3" x 15" 4" x 5.5"
Non-glare lens provided with each sign to prevents glare and tampering. Double-sided VHB tape included on the back of the frame for easy installation. Silver, anodized aluminum backer is designed for durability. 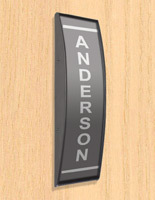 This name plate, door sign is often used in hospitals, banks, lobbies, offices and universities. 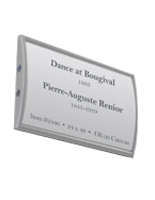 Each frame can be used to showcase room numbers, occupant names, or wayfinding signage. 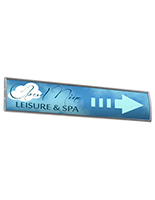 Constructed from silver, anodized aluminum extrusion with plastic end caps, this door sign with a silver finish is very durable and can last for many years to come. The curved design of this frame makes the contents stand out, drawing attention from multiple directions! 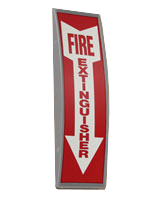 This wayfinding signholder, door sign with double-sided tape also provides users with a fast and easy way to change graphics. Simply use the included suction cup to lift the non-glare lens, and place the graphic underneath the lens to protect your graphics. The easy-to-use design of this affordably priced door sign is ideal for signage needing to be updated on a regular basis, as signs can be changed in mere seconds. The non-glare lens prevents both dust and glare from hindering the view of your displayed signs. This door sign that has a silver finish, such as a room number holder, can mount vertically or horizontally depending on your graphics. 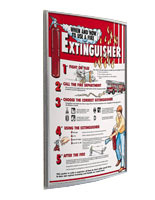 Each aluminum frame is sold with double-sided VHB tape strips mounted on the back for easy wall-mounting. This wayfinding door sign is ideal for visitors, clients and guests allowing them to navigate with ease through your business. 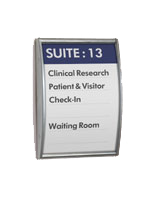 Office signage can be used alone or multiples, such as a directory or a wayfinding signholder. Customers can also easily print their own graphics using a regular printer! This door sign is the ideal signholder solution for any business!